Being one of the major tourist destinations in India, Katra is visited by many budget travellers during a year. 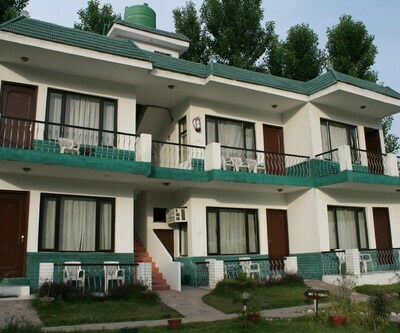 The travellers visiting Katra are offered with many properties that offers you utmost quality of services at moderate prices. 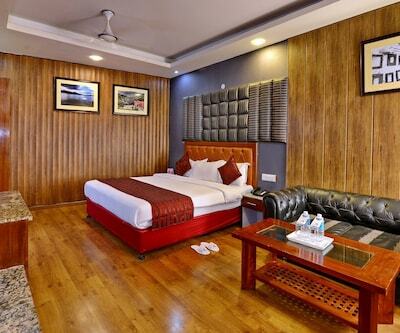 anurag hotel is one of the best 3 star hotels in Katra. 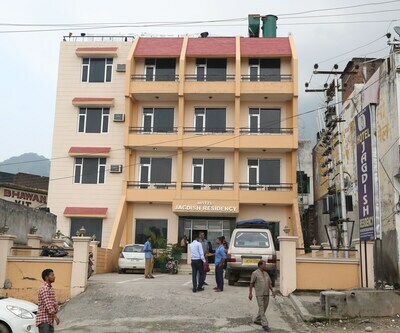 The property is situated near Bus Stand at a distance of 550 m. Railway Station is 1.2 km from Katra Railway Station. There are elegantly designed 42 rooms. These rooms are spacious and are tastefully decorated. Each room is filled with AC, satellite TV, DVD player, data port, safety locker and dining table. Guests in the hotel can also avail the facility of mini-bar by paying some extra charges. The in-house restaurant serves scrumptious and mouth-watering delicacies that suffice every plate with pleasing ambience. Coffee shop at hotel is a place where n guests can enjoy and sip their favorite beverages. There’s nicely fitted business centre and a conference hall that helps in smooth running of business meetings and seminars. Prominent tourist sightseeing places such as Banganga River, Ardh Kuwari Cave, and Bhairon Temple are located within the radius of 2 km from the hotel. 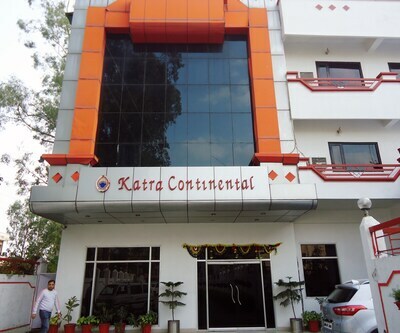 Hotel Shree Hari Nivas is also listed among the 3 star Katra Hotels. Guests in the hotel are ensured to suffice their all needs timely. The rooms are nicely decorated and are filled with all contemporary amenities such as TV, telephone, attached bathroom and other essential facilities. Guests can paper their taste buds at in-house restaurant that serves different cuisine to satisfy every plate. ginger katra has well-fitted gym where guests can shred their bodies. Other facilities offered by the hotel are 24 hour reception, newspaper, doctor-on call in case of medical emergency a d many more. 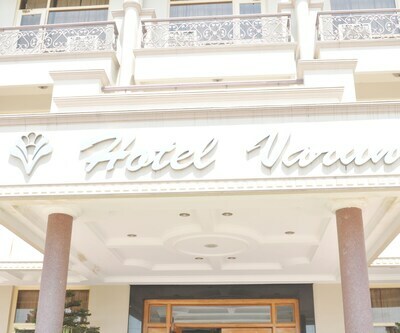 Hotels has in-house multi-cuisine restaurant where guests can relish on mouthwatering dishes. Various tourist spots and Mata Vaishno Devi Dham can easily be reached from here. 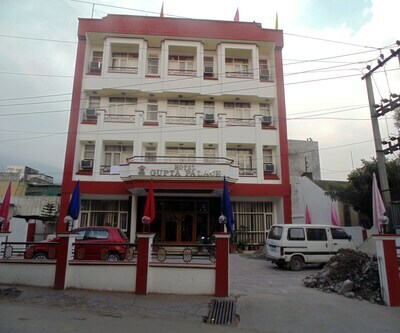 Van Durga Villas and Suites, hotel today, hotel durga residency, Hotel Prakash are other 3 star hotels in Katra that offers a wide range of facilities to its guests with utmost satisfaction in moderate price. 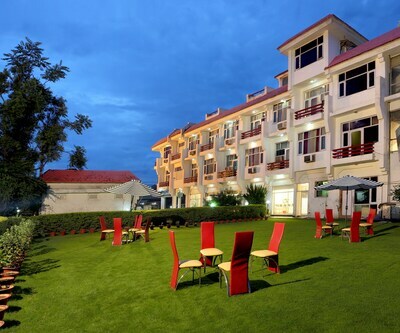 How far Hotel Bali Resorts from Katra Railway Station? Does Van Durga Villas And Suites drop to helipad and pickup from ban ganga provided? And pickup from railway station? Hotel provides complimentary pick up and drop from hotel to banganga, they also provide other location drop and pick up for very nominal charge. I need 3 star hotels near jammu road.? 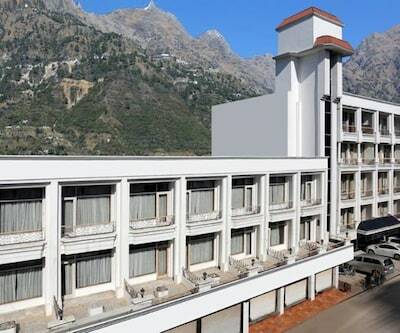 Country Inn and Suites By Carlson Vaishnodevi, Hotel AMR,Hotel Maharaja Inn are the best 3 star hotels at this location.